It’s not that Toronto’s The Slocan Ramblers are old-fashioned, it’s that they’re making bluegrass that harkens back to an older need. They’re not here for the concert halls, they’re not here for the flash and glitz of the music industry, they’re here to grind out the hottest tunes they can, picking fast and furious through traditional and original pieces, and they’re here to sing their songs to hardworn people looking for release. They came out of Toronto’s gritty bluegrass scene, playing late-night bars to rowdy crowds in a city once known for its industrial pigmeat industry. The dust in banjo player Frank Evans’ voice fits perfectly into an older world of bluegrass that still remembers its roots in working class communities. They’re more Louvin Brothers than Ricky Skaggs, and some of this comes for their long-term interest in and respect for old-time Appalachian traditions. Evans moves back and forth between clawhammer and Scruggs-style banjo, while mandolinist Adrian Gross has the speed and aggression of Big Mon himself in his playing. Thundering bassist Alastair Whitehead has a softer voice than Evans, but with a hint of world-weary wistfulness. Guitarist Darryl Poulsen’s as steady as rolling train, shoveling coal into the red-hot furnace of racing bluegrass tempos. These four young men are at the top of their game, each of them powerful enough in the genre to move these old sounds in fascinating new directions. 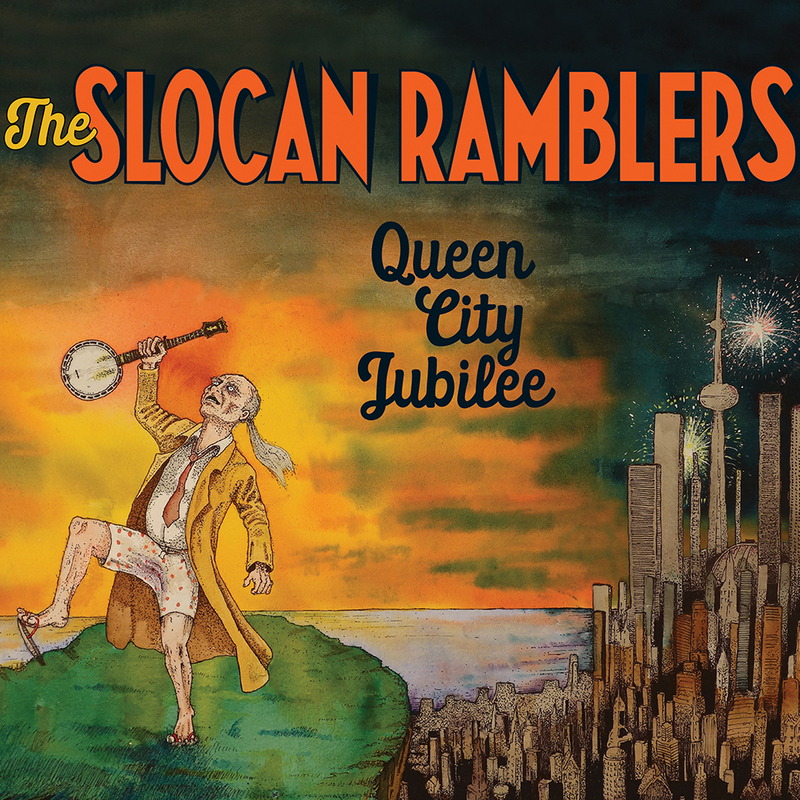 On their new album, Queen City Jubilee, coming June 15, 2018, The Slocan Ramblers mix original and traditional songs with instrumental tunes, tapping the old vein of Appalachian music that first inspired so many early bluegrass bands, but also looking to the softer side of folk and Americana for its complex, interwoven songcraft.